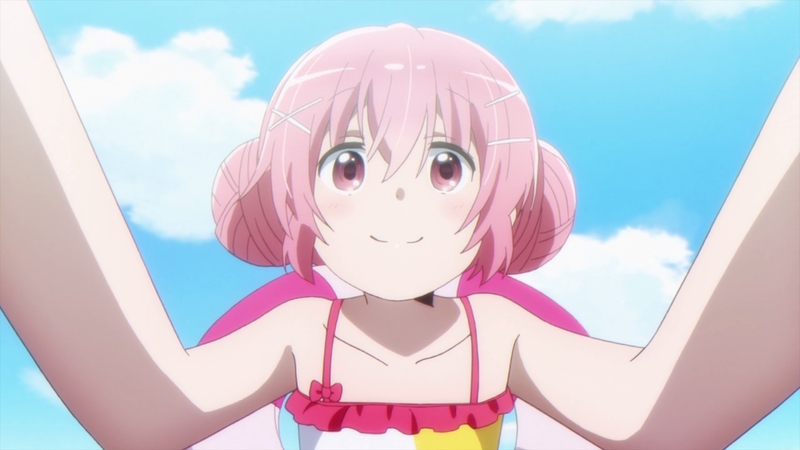 — I originally approached Comic Girls under the assumption that our coverage of it would be a one-time affair, since while the areas highlighted previously remain consistent, there’s only so much to be said about them before things get repetitive. But since it’s kept leaving a positive impression and putting together interesting new tidbits, I’ll gladly give it some more attention, since modest yet solid efforts like this are often overlooked. And of course, the main focus has to be episode 5; while not quite the solo episode the credits made it out to be thanks to Yoshiko Saito’s minor uncredited participation, Kazuya Nakanishi’s accomplishment with it is nothing to scoff at. Key animating the majority of it on top of storyboarding, directing and supervising it is a feat in and of itself, more so when no clean-up was required for it – something we touched upon over on our Megalo Box highlights. 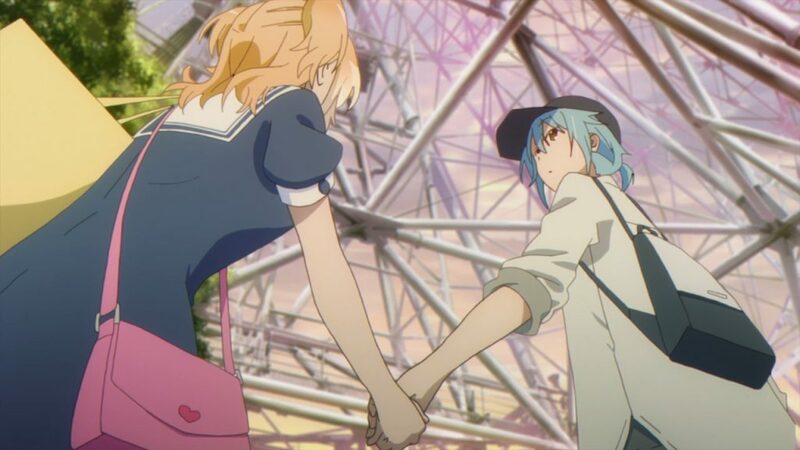 Even more impressive is that he’s been actively involved in previous episodes while also showing up regularly on other shows this season, Grancrest War included, going to show once again that Comic Girls is very much benefiting from the well-maintained schedule that studio Nexus is becoming known for. — If we look at the episode itself, Nakanishi’s touch can be felt all throughout it, though the catch is that it’s also one of those outings that don’t aim to be too ostentatious about personal quirks in the first place. The show’s already home to a well-defined sense of comedic timing by part of series director Yoshinobu Tokumoto’s firm control over it, so Nakanishi mostly adapted to that style while also incorporating his own take into the mix. Even the established visual gags, such as the playful use of panelling, feel like they’ve been twisted to his sensibilities without straying from the norm too much. That said, he doesn’t shy away from making certain aspects of his work stand out either, namely through the prominence of perspective shots, tricky low angle ones in particular. It’s not uncommon for episodes like this to break the mold completely – which I’m all for, mind you – so props to Nakanishi for striking a fine balance between consistency and his own vision. — That said, those factors feel like footnotes when it comes to what makes this episode feel special. 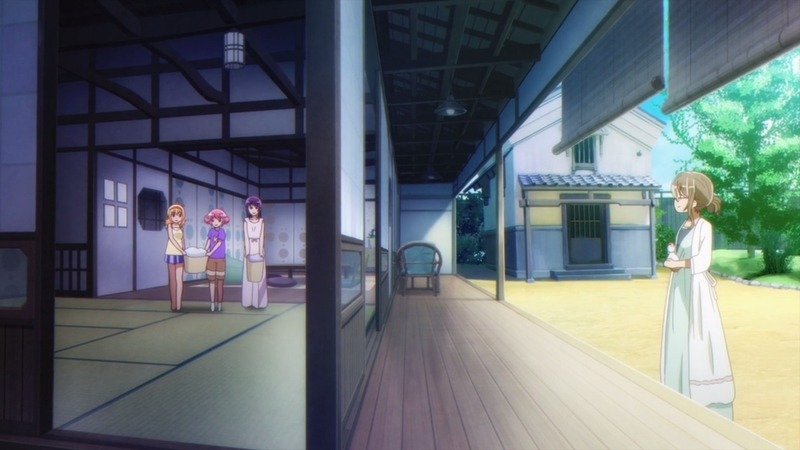 We see Ruki finally realise and accept that her work leaves a lasting positive effect on her readers, even if it’s not the path she initially foresaw herself going down in the previous episode; this acts as the show’s first real foray into more substantial character work, and that baton is passed on to #05 by having Koyume take centre stage. It’s no coincidence that the episode opens the way it does, and there’s care taken in having her expressions and mannerisms at the forefront as much as possible. 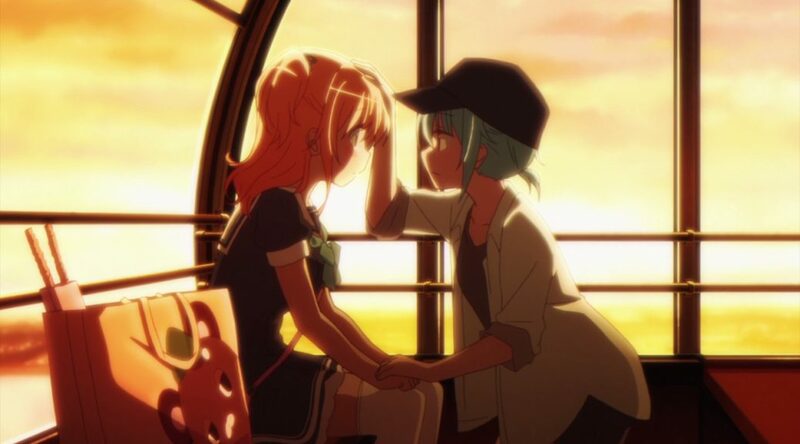 Her feelings toward Tsubasa, which were always portrayed in a more light-hearted manner, are taken a step further by bringing the issue of her dwindling self-esteem into the picture, eventually culminating in their sweet moment together on the Ferris wheel. I was already more than satisfied with the show beforehand thanks to the endearing cast and their ability to provide constant laughs, but you won’t find me complaining if this is the direction they want to incorporate as things progress. Though I am admittedly a bit scared of what that entails for poor Kaos and her complete inability to find even the slightest positive in her own existence. Hashtag relatable. — One major takeaway from this episode is that Nakanishi is widely recognised as an action animator first and foremost, yet his output here could lead unfamiliar viewers to believe otherwise. 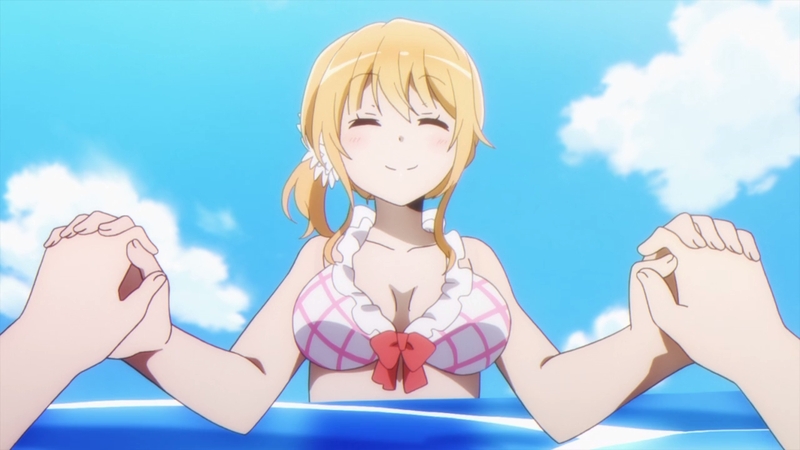 The same applies to Yoshiko Saito, who wowed people with her gentle and detailed sequence in the previous episode despite her most well-known work being a showcase of fun and exaggerated movement. We like to make a case for how artists are capable of cultivating more than one side to their work, even if they themselves tend to lean towards said side more often than not, so this gives us a nice excuse to highlight that fact once again. — I’ll be honest though, what surprised me most about #05 was Tokumoto’s own willingness to leave the storyboards fully in someone else’s hands, which says a lot about both the state of this production and Tokumoto’s trust in Nakanishi. He’s currently been in involved in 5/6 episodes so far, showing no signs of stopping unless we somehow get another semi-solo episode. That might not seem too impressive in a season where we have Kei Oikawa storyboarding the entirety of Hinamatsuri on his own, but make no mistake that these two are exceptions to the standard. On the other hand, those working on the show were probably glad to have some reprieve from those obscene layouts that Tokumoto insists on including over and over. 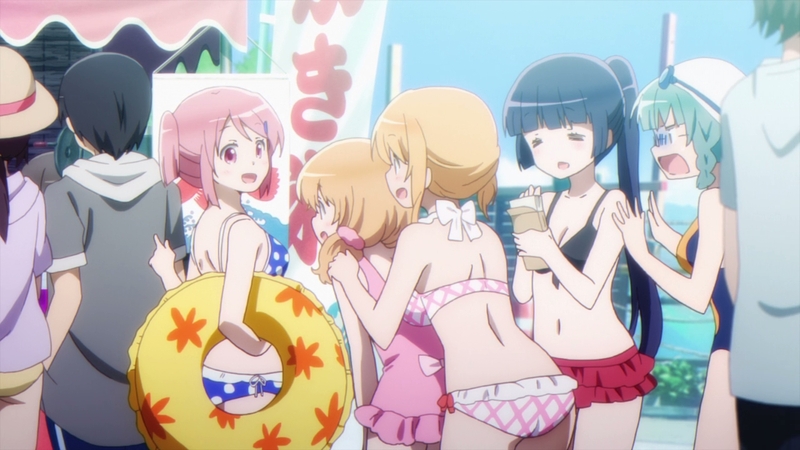 — Last and most importantly: Koyume willed the Nexusverse into existence because her friends are nerds who won’t play with her at the beach. Hm? Is there nothing to talk about in episode 6 in particular? There wasn’t much to say about it that hadn’t been said before, honestly. I mainly included it to give context to Tokumoto’s workload on the show so far. Still an entertaining episode though! Her expressions and mannerisms when she was at the table with Ruki were fantastic. She was talking about her feelings for Tsubasa as honestly as possible and somehow her body language said even much more. Yup, caught my eye right away while watching. It’s always nice when the acting helps accentuate what’s actually being said.